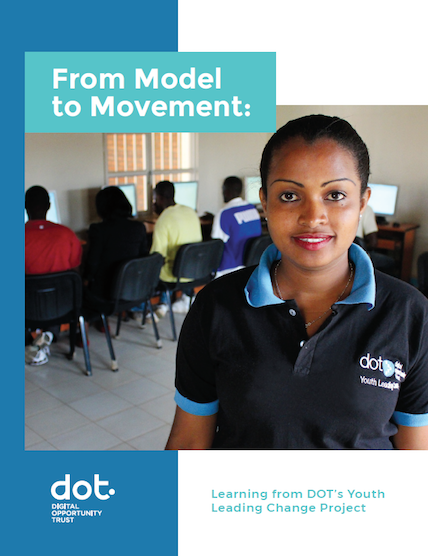 From Model to Movement provides evidence of the impact and effectiveness of the DOT youth-led model – a model that has been refined over the past 15 years to international acclaim – as well as insight into the ambitions and needs of young people in a rapidly changing world. It recognizes the desire of DOT youth to lead practical change in their communities through social innovation, human-centered design thinking and effective community projects, and outlines DOT’s commitment to putting youth at the center. DOT’s ultimate measure of success is when young women and men themselves take over the reins of change and development – shifting DOT’s work as well as global development from model to movement. 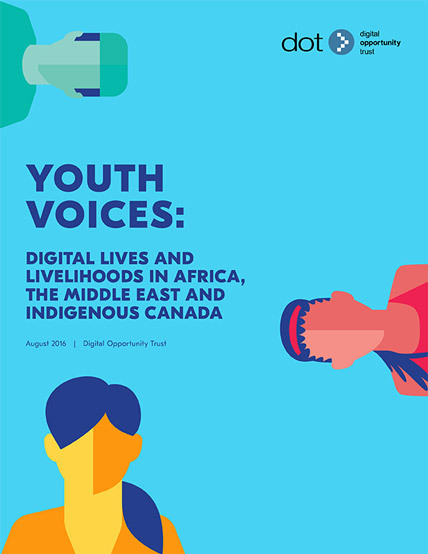 Led by young local researchers who are deeply familiar with their communities, this report investigates how youth in Africa, the Middle East, and Indigenous Canada are accessing and using technology for work, education, entrepreneurship, learning, leadership, and, of course, fun. As natural early adopters of technology, digital natives, and the biggest demographic population in the world, young people are already transforming economies and leading change in ways that are tremendously impactful, but not always visible. Our youth researchers explored how their peers are using technology as change-makers and entrepreneurs, as well as the barriers to access that prevent many young people from taking full advantage of digital opportunities. 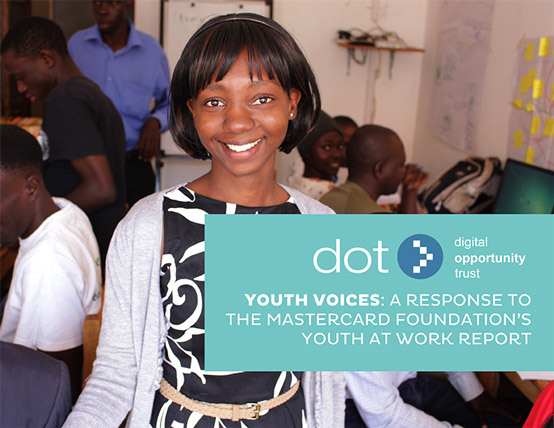 The MasterCard Foundation’s report, “Youth at Work: Building Economic Opportunities for Young People in Africa,” is an important contribution to the growing body of knowledge about youth economic engagement, and it closely reflects DOT’s experience as a leading practitioner. DOT has a global network of passionate, engaged young people who are eager to participate in dialogue about the issues that impact them the most. We shared The MasterCard Foundation’s report within our network of young leaders, invited them to comment, and engaged them in discussion around the core themes of the report. 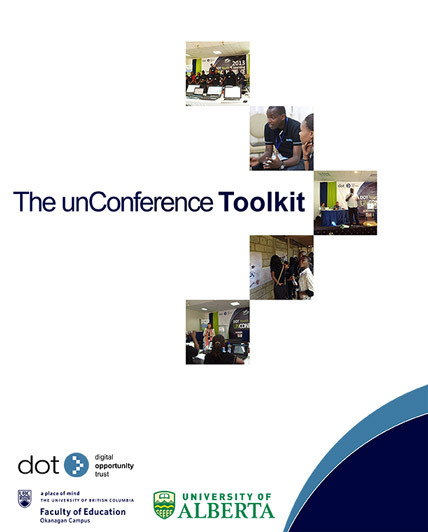 The Unconference Toolkit was developed in preparation for DOT’s first Youth Unconference in Nairobi, Kenya in May 2013. DOT’s Unconference is designed to create opportunities for dialogue between youth and the public, private, non-profit, and academic sectors. This toolkit contains resources that we have curated and created to help you lead your own inclusive, youth-led Unconference.